Announcing SMTV & March 21 – UPDATED!! UPDATE! 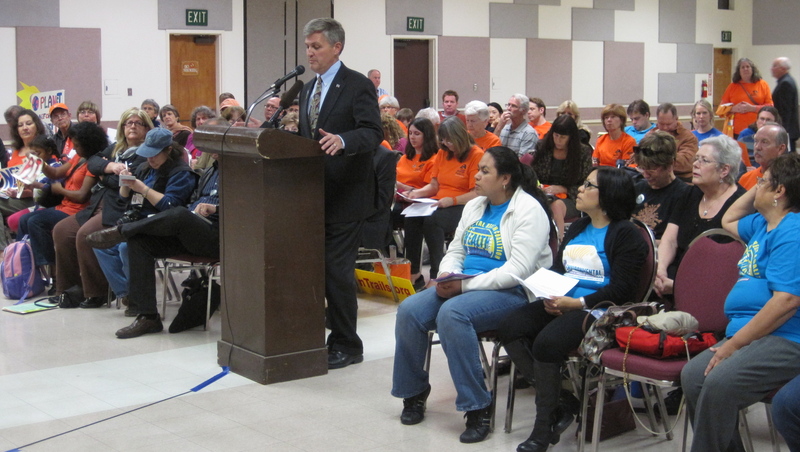 On 3/21/13, the CPUC unanimously rejected Quail Brush and Pio Pico…FOR NOW, but left the door open for SDG&E to re-apply if a future need is determined. NOW IT’S TIME for the California Energy Commission (CEC) to reject Quail Brush. We won’t stop until QB is RIP. More details coming soon. In the meantime, check out Our Supporters to see what a great coalition of support exists for saving Mission Trails and our communities, and for clean, green energy. Thank you!! (And there are more, too.) Then, click Email Activism to send your letter of opposition to the California Energy Commission (CEC) (#1) today! Join the Revolution! 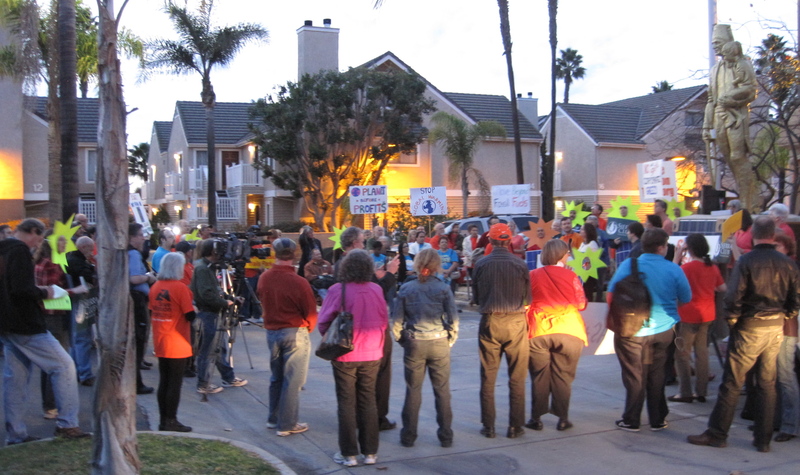 CPUC Final Vote Thursday, March 21, on new fossil fuel plants at Mission Trails and in Chula Vista. Arrive BEFORE 9AM to submit a speaker slip. Too shy to speak? Just state your name and “I SUPPORT the original draft decisions which reject the new gas plants as not needed” either into the microphone or in writing. Or prepare a (one minute or less) statement – addressing LACK of NEED. Rally: 8:00 AM Speaker Slips must be submitted before 9:00 AM only – Come at 8:30 and sign a speaker slip! Meeting Starts: 9:00 AM Wear orange! Parking: Parking garage near the corner of Overland and Farnham. Check savemissiontrails.org/meetings for any changes before you go OR to find out how to view online or listen in by phone. Annoucing SMTV! 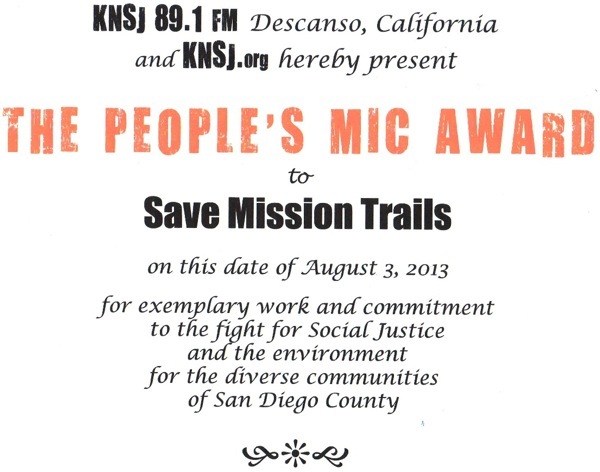 People who care about Mission Trails Regional Park speak out! Click on the “Share icon” in the top right corner of each video to spread the word – next to the circular Info icon. Stephen stands up for Mission Trails Park, and asks you to show up on 3/21. Pauline requests your help in fighting the polluting power plant next to our park. Robin argues Mission Trails is no place for a gas plant with 11 stacks, and we agree! Retha reminds us natural gas is not clean, just cleaner than COAL, so get fired up! S.D. City Council 9/24/12 voted NO to gas plant BUT Cogentrix is STILL a threat. Author SandyPosted on March 13, 2013 May 21, 2017 Categories Community, Media, Video4 Comments on Announcing SMTV & March 21 – UPDATED!! 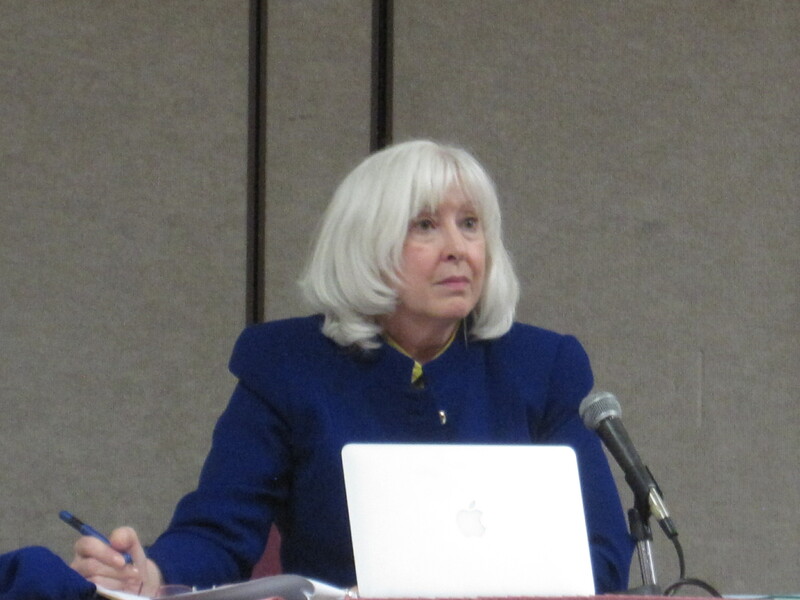 CPUC Decision Postponed to January 10 – Have you sent your letter yet? The California Public Utitlies Commission (CPUC) vote on the SDG&E application for Quail Brush and two other gas plants in San Diego County has been rescheduled to January 10. This gives us time to get more Letters to the CPUC supporting their proposed decision rejecting these fossil fuel plants as not needed! Have you emailed the CPUC? The more people who voice support of the CPUC draft decision, the better. You can count on Cogentrix and the other corporate lobbyists to be pushing for their profits. The Sierra Club will forward your voice! OR should you prefer to speak via Save Mission Trails, here is our letter and instructions. Additionally, we are pleased to report that newly-elected State Senator Marty Block and San Diego Councilmember Scott Sherman have written letters to the CPUC in support of the draft ruling, which rejects the SDG&E power purchase agreement for these plants. Click to read Sherman’s letter. Thank you all, for caring about the future of San Diego and our lovely Mission Trails Regional Park! Author SandyPosted on December 20, 2012 January 16, 2013 Categories Community, Energy, Media, Meetings, Mission Trails Regional Park, San Diego, Take ActionTags California, Cogentrix, Community, fossil fuel, Mission Trails Regional Park, Quail Brush, SDG&E, Sempra Energy, Solar power2 Comments on CPUC Decision Postponed to January 10 – Have you sent your letter yet?